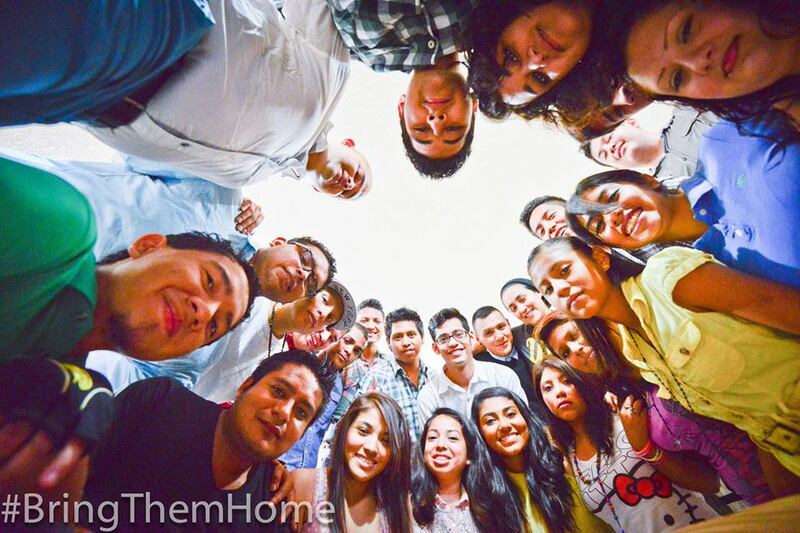 On Monday, September 30, 2013, thirty DREAMers embarked on their journey back home to the U.S. The DREAMers crossed the border at the Laredo, Texas, legal port of entry in hopes of being granted humanitarian parole. The DREAM 30 are currently being held in the El Paso Processing Center. Among the DREAMers is my sister, Marcela Espinoza, from Chicago, Illinois. Our parents, like thousands of others with a similar dream, came to the United States with high hopes that they would give their children a better life. Our journey to the U.S. was by no means an easy one. On our first attempt to cross the border, it was nighttime and my father carried me in his arms as a 2 year old. My first memories are of my father losing his footing and falling into a ditch. He broke both of his ankles, and I broke my arm and received a severe wound on my face. Our mother was pregnant at the time. She had to work at a factory in Tijuana until my dad was able to heal for a few weeks. The second time we crossed my father was using crutches and my mother was 8 months pregnant. My older sister Marcela was 6 years old when we finally reached Chicago. It became our home, a place where we would build our entire life, the place we would identify as our only home. After settling in Chicago’s Little Village community, my sister Marcela was enrolled in school. She excelled in all of her classes and received high marks during her elementary schooling. She was an outstanding student and received invitations from some of the top high schools in Chicago. After completing her elementary education she chose to attend Curie High School where she became part of Mu Alpha Theta, Honors Society and the Key Club. After graduating, Marcela was confronted with one of the most difficult problems in her life, how she would afford her education because she was undocumented. She was unable to find scholarships and was ineligible for financial assistance. At that time, my family was also facing another issue: my grandmother who lived in Mexico was ill and with no one to look after her. My sister left heartbroken to take care of our grandmother. She left with the uncertainty of not knowing when she would see us again and devastated that she would not be able to further her education. Unjust immigration laws tore Marcela from the people who love her most, our family. She has missed many important events in our lives as we have missed hers. I have had to spend Christmas, Thanksgiving, birthdays and anniversaries without her. The unfair immigration laws have kept us apart for an eternity. She has not been able to be there for me in the way that an older sibling should be. She has only been able comfort me via Skype, an email or a phone call. I need her to comfort me in person. She is my best friend, my hero. I need her safe at home and I need her wisdom, her love and her presence here in Chicago, where she rightfully belongs. I am longing for the moment where I can give her a long, tight, welcoming hug home. Marcela has now been living in Mexico for almost a decade, during this time she has continued her education. However, it has not been easy. She has had to juggle taking care of an elderly person, researching for her dissertation and attending school. She has managed to write her dissertation and obtain a B.A. in History. Despite this tremendous accomplishment, she has never completely adapted to life in Mexico. It is crucial to mention that Marcela is also queer; it is because of this that she feels a lack of acceptance in Mexico. In her words, “Because I am queer, I feel excluded in the reality that I live in. I am a second-class citizen and I know that I cannot live my life fully here.” It is equally as important to note that Marcela is not safe in Mexico; the drug cartel violence has been escalating to frightening levels. I fear for her safety. She has been in my thoughts and prayers every single day for the last 8 years, hoping that she does not become one more victim of these atrocities. My sister will continue to be in my thoughts and prayers until I can have her home in Chicago, where I know she will be safe. Our message is clear: We want Marcela and the DREAM 30 home. We urge Senator Durbin and Obama to support this talented group of bright and courageous young men and women. They have much to offer this country, the one which they have risked everything for, for a chance to be reunited with their families. I cannot imagine the emotional and physical distress the DREAMers are experiencing being held in a detention center hoping to return home. The fight continues, I am calling on all of our supporters, friends, family and allies to join my sister and the DREAM 30 in solidarity. We must stand beside them and act, we cannot let days turn into weeks, weeks turn into months without their release. We must take matters into our own hands, we must keep making calls to ICE, continue signing their petitions. Their struggle is OUR struggle.